There’s much more to a good children’s library than just endless shelves of children’s books. 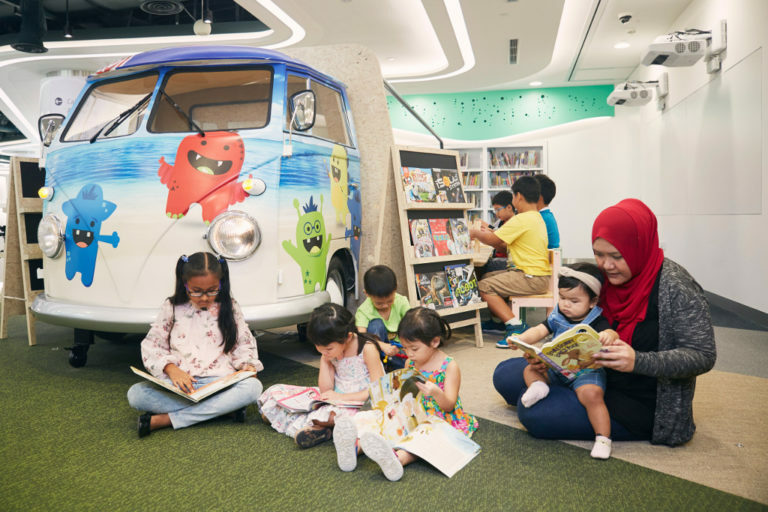 We’ve picked out 10 of the most kid-friendly libraries in Singapore to illustrate just what we mean! We know that reading is one of the best skills that we can teach our children. Reading helps exercise our brains and improve emotional intelligence. 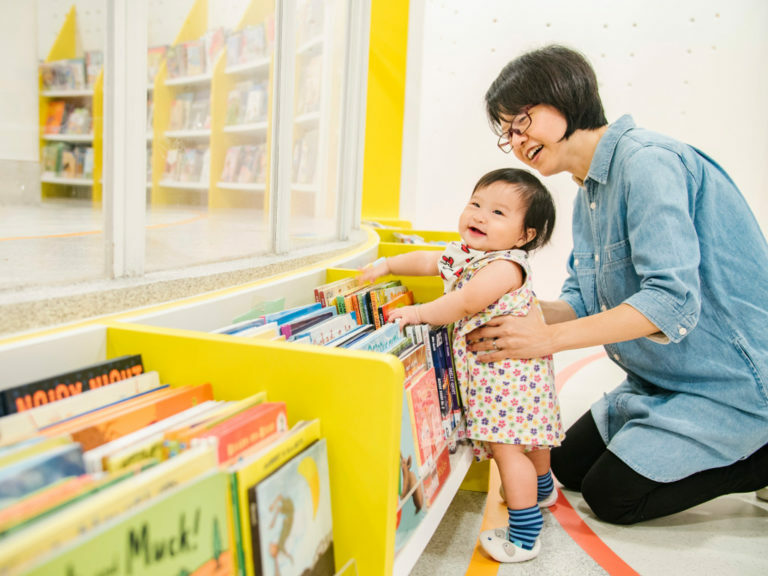 So isn’t it great that we have so many kid-friendly libraries here in Singapore where we can introduce our little ones to the wonderful world of books? 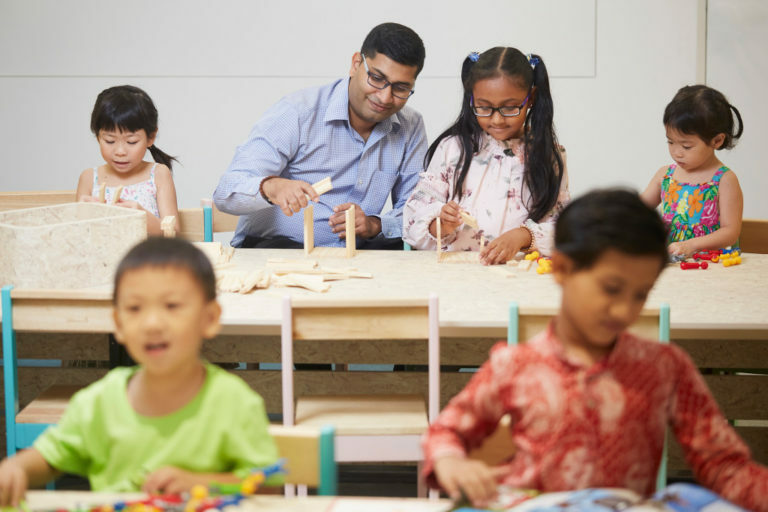 The most kid-friendly libraries on our Little Red Dot also up the ante by offering exciting programmes to engage our little ones in positive learning. Let’s take a closer look. Give Baby a Library Card: Believe it or not, even your newborn can be a library member! Simply register at any public library – all you need is Bub’s birth certificate and one parent’s NRIC. Then borrow six books to receive an adorable baby gift pack. This includes three board books to kickstart your baby bookworm’s home library! But wait – are you wondering why babies need a library membership when they can’t even read yet? For one thing, reading to your baby is a wonderful opportunity for parent-baby bonding. 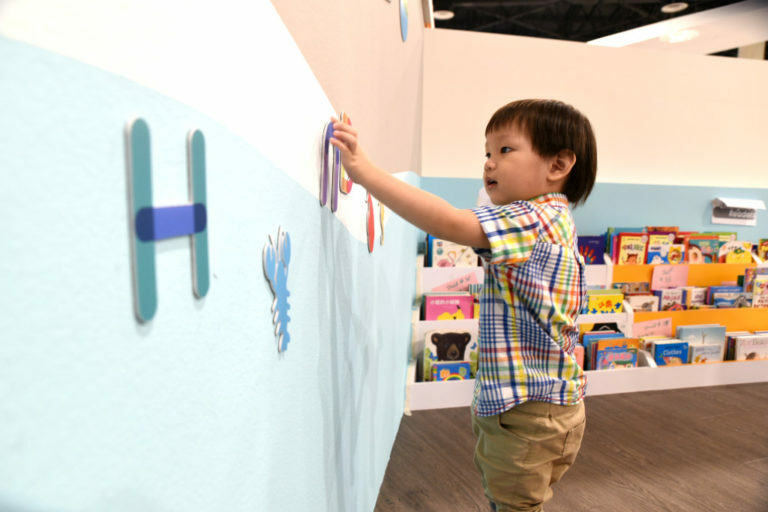 Furthermore, there are plenty of books specially created just for babies, with multi-sensory features designed to aid Bub’s developmental skills. Take part in the Baby Lapsit Programme: This is conducted at various libraries each month. Learn songs, action rhymes and finger play during each 30-minute session designed to engage babies up to 12 months. Toddlers aged one to three years can join other parent-toddler pairs in Jiggle, Read & Rhyme, a lively 30-minute programme that gets you and Tot moving with songs, rhymes and stories. Storytelling sessions: These are conducted at most Public Libraries, with different sessions targeted at different age groups. They are popular with younger children, who love the energetic interactive and creative hands-on elements. The libraries also organise Early Literacy programmes and Expert Series workshops where parents get to participate in their child’s reading development. Literacy Development enrichment programmes: Children can act out their favourite stories, discover new authors and fiction genres, and practise writing their own stories. 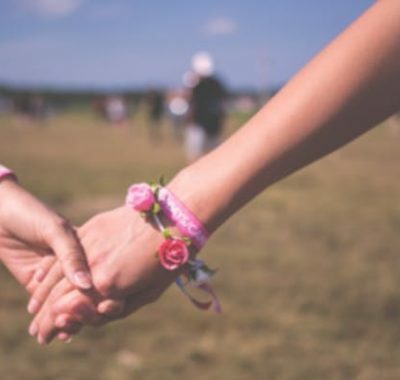 During the school holidays, there are also special holiday programmes catering to parents and children. Besides being fascinated by stories or learning new facts, they get to enjoy hands-on craft sessions and get tinkering! 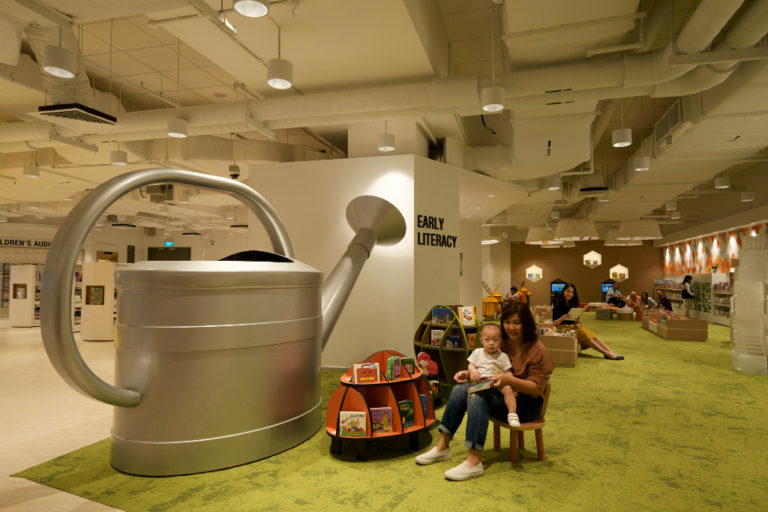 The garden-themed Early Literacy Area at Bedok Public Library is a hot favourite with younger kids. The giant watering pot instantly whisks you into an Alice in Wonderland-type fantasy world, don’t you think? Movable pieces of soft furniture create an engaging space where kids can explore and read safely. It also includes two TumbleBooks stations where kids can interact with eBooks complete with animated illustrations. New parents will appreciate the easy-to-search babies’ collection, where books are categorised based on five early literacy skills. Housed in its own wing, the Children’s Zone at Bukit Panjang Public Library is designed to encourage discovery and learning. Kids are automatically drawn to the Book Mountain, a creative shelving design featuring a gradual ramp and varying shelf heights. Books in the Early Literacy Area have their covers, rather than spines, facing forward, to encourage little ones to browse. There’s even a dedicated Children’s Magazine and Audio-Visual Collection for primary schoolers. 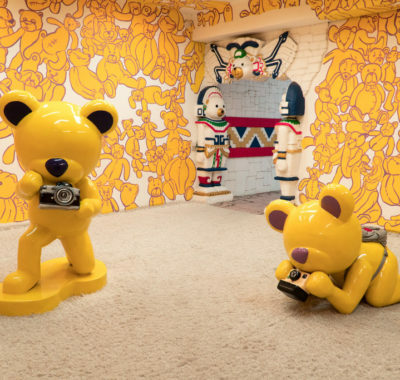 This was the first library to offer the Stories Come Alive Room, a space that uses images, light and sound effects to make storytelling sessions as immersive as can be. Central Public Library is a unique eco-space and home to My Treehouse – the first green children’s library in the world. Taking centrestage is the striking treehouse canopy, with its steps and surrounding platform also built with recycled materials. Another super-cool feature is the Weather Cloud that changes colours based on the weather outside! Kids love fiddling with the buttons on this interactive weather station that shows a live feed of local weather conditions. 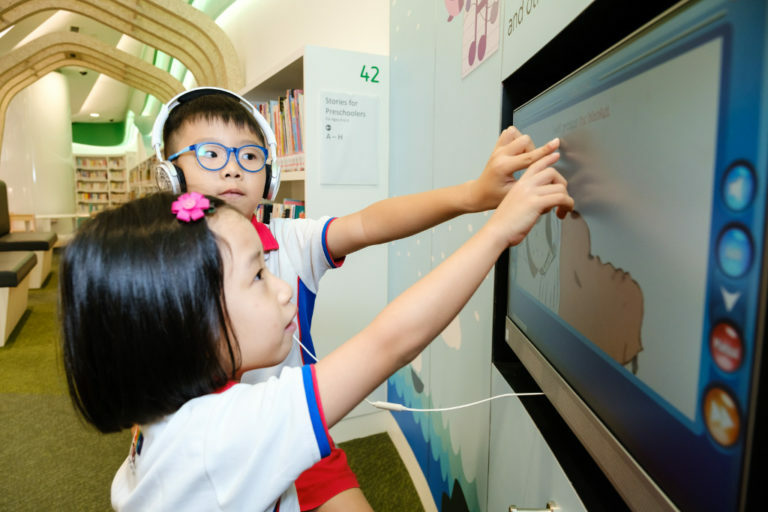 Children also enjoy interactive digital books and activities at the TumbleBooks stations. The shiny new library@harbourfront made happy headlines recently when it launched at VivoCity on 12 January. What used to be Daiso now houses two distinct areas: an Adults’ and Teen’s Zone, and a dedicated Children’s Zone. In the latter, kids are automatically drawn to the Tinker Truck, the first-of-its-kind children’s makerspace in a library. Featuring DIY learning materials and activities, children are encouraged to develop creative, problem-solving and early literacy skills. Further in, specially designed reading spaces and activity areas allow parents and kids to read and learn together. The most popular space lets you look up from your book and see Sentosa! It’s also the first library to offer Augmented Reality books that bring stories to life, and the second with the expanded Stories Come Alive Room, perfect for unstructured kids play. By the way, monthly maker programmes on STEAM (Science, Technology, Engineering, Arts and Mathematics) topics are in the pipeline! 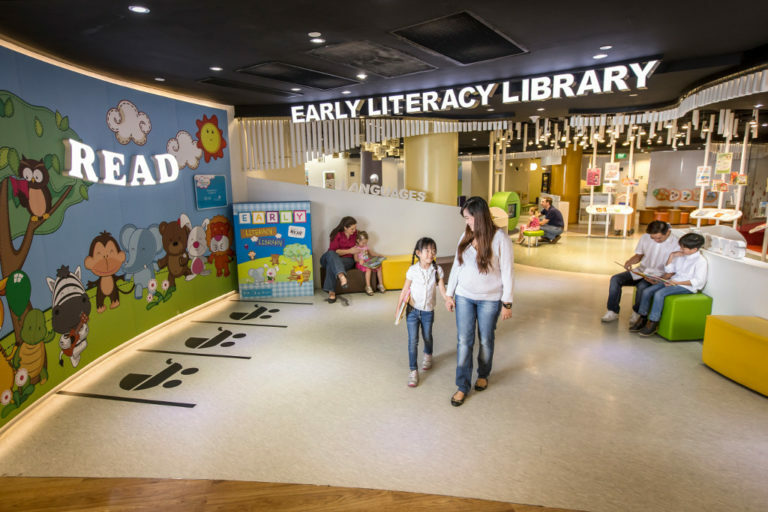 Once the largest library in Singapore at 12,020sqm (Tampines is now the largest at 12,600sqm), Jurong Regional Library was also the first to house an Early Literacy Library. Focusing on key areas vital to children’s learning and development, it caters to two age groups: under three years, and four to six years. Besides books and audio-visual materials that are available in the four official languages, TumbleBooks stations also invite kids to interact with the digital book world. You’ll also find the neat PIXEL Labs@NLB here at Jurong Regional Library. It hosts techie tinkering workshops for all ages, including parent-child workshops on STEAM topics! 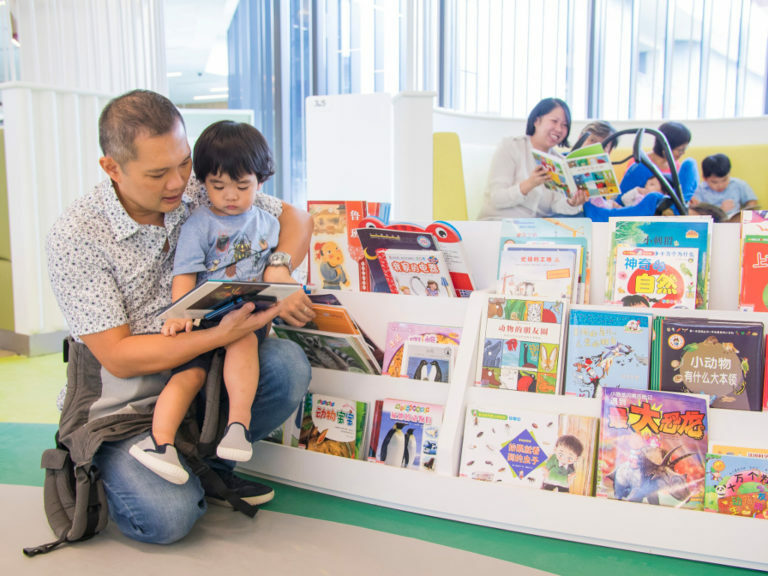 The Parent-Child Reading Zone at Pasir Ris Public Library is a favourite with families who read together. 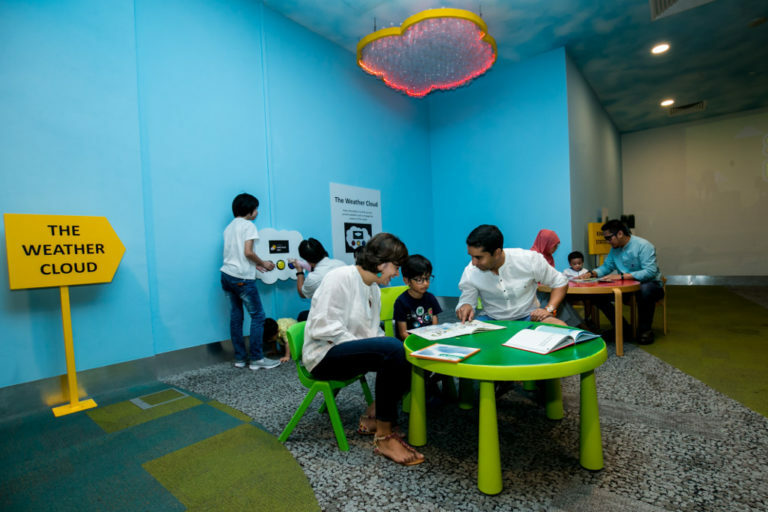 Low seating and tactile furniture at the Early Literacy Collection area is ideal for parent-child bonding through books. The interactive Doodle Wall makes the storytelling experience more immersive too. The Children’s Deck encourages kids to get comfy with their books. But most popular is arguably the Magnetic Wall that enables budding authors to dream up their own stories. It’s also the first library to offer a front-facing collection so kids can judge books by their covers instead of their spines. 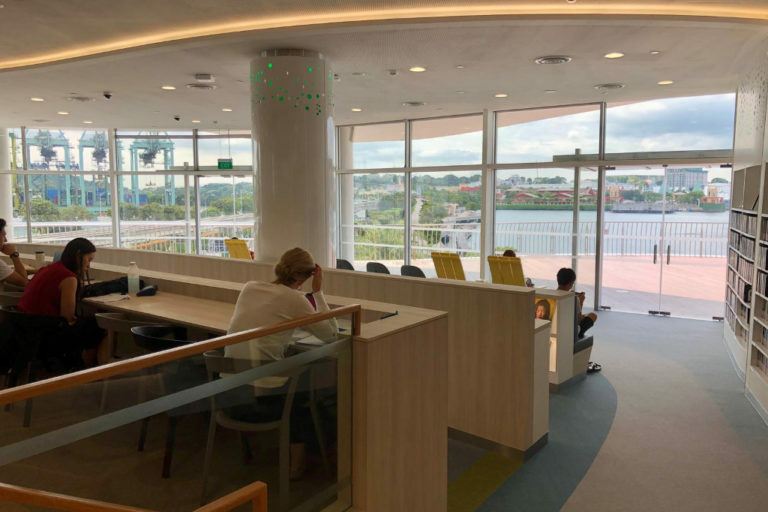 While not huge, Sengkang Public Library boasts charming design elements inspired by the area’s history as a riverside port. The Children’s Area is segmented into age-appropriate spaces, starting with the Early Literacy Area with front-facing book collections. TumbleBooks also let young ones enjoy interactive digital books and activities. The library also houses the first Tweens’ Area for older kids aged 10 to 14 years. Designed to support experiential learning, it offers flexible seating and hosts weekly programmes for tweens. 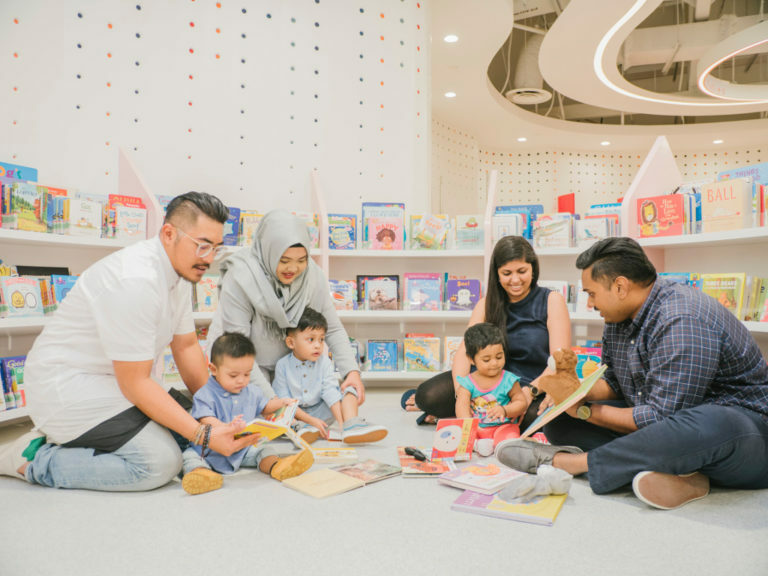 Located within the sprawling community space that is Our Tampines Hub, Tampines Regional Library dedicates an entire floor to young children. The Early Literacy section on level three has demarcated reading areas for children up to three years, and for four- to six-year-olds. The level also houses PLAYtopia, an indoor playground complete with colourful ball pits and transparent tube slides. Older kids aged seven to 12 can head up a level to find vibrant reading spaces dedicated to them. These include a #spaceout zone – it’s exactly what it sounds like! – and also a PIXEL Labs@NLB. Yishun might have a dubious reputation, but it certainly has a pretty cool library. 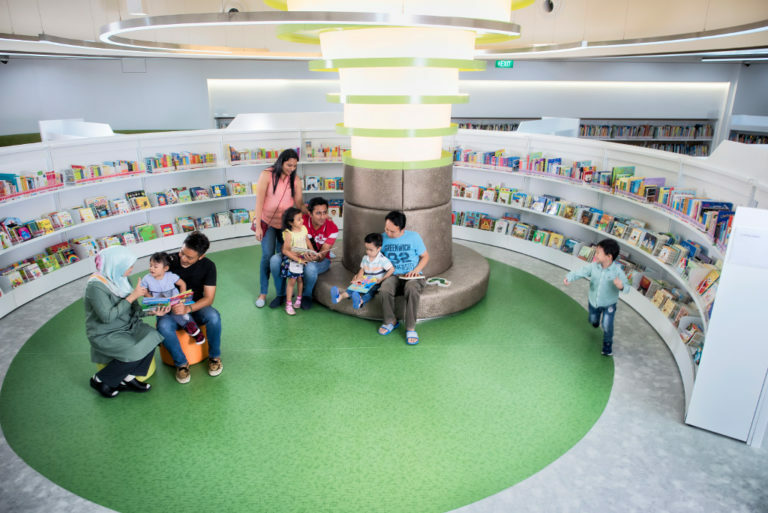 Located in the ‘old wing’ of Northpoint City, Yishun Public Library has a section dedicated to children. It houses children’s magazines and age-customised collections. The Early Literacy collection and TumbleBooks stations cater to the little ones up to age six. Older kids from seven to 12 years can explore special book displays and a Singapore collection of local tales. Engaging storytelling sessions happen at the Story Circle, where interactive projections put kids right in the centre of the story! Okay, so this isn’t a physical library. However, if you do not have time to take your kids to a library regularly, it’s good to know your children don’t have to miss out on the experiences entirely. On those days, make use of the Kids’ eReading Room on the OverDrive website and mobile app. 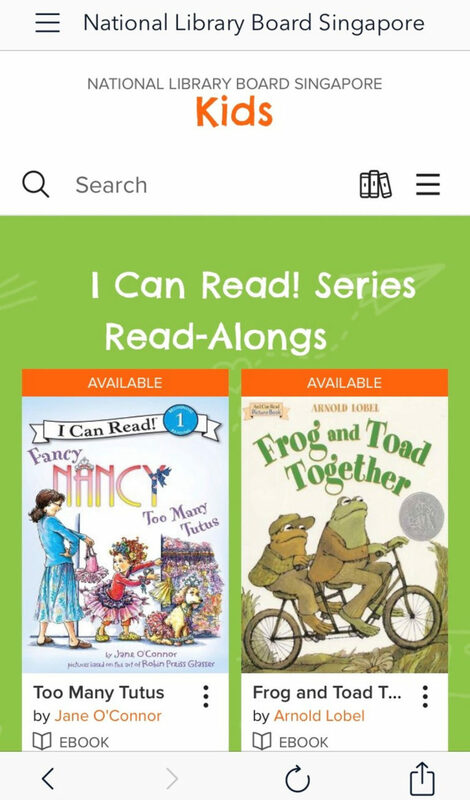 A key highlight of the eBook collection is the “I Can Read!” series of read-along books which come with animation and sound effects. Access the Kids’ eReading Room portal online, or download the OverDrive app on the Google Play Store, Apple App Store or Windows Store. Just like the public libraries, it’s free to access as long as you have a library account. For help with logging in, click here. Is your children’s favourite library in this list? 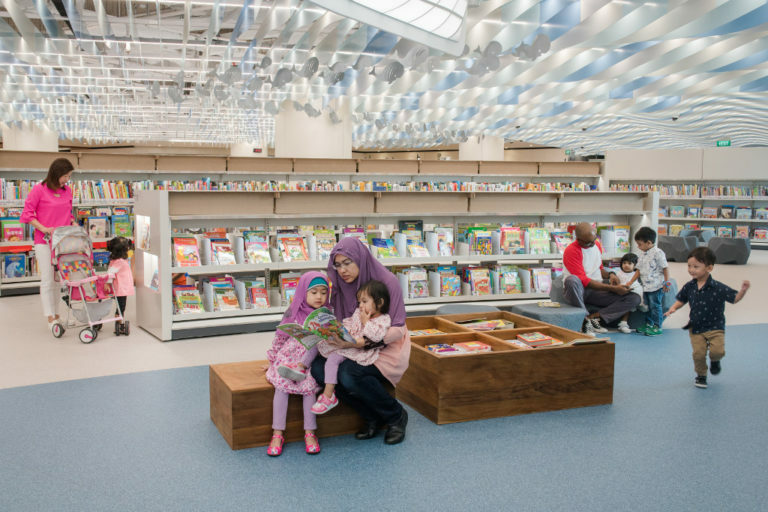 If not, which are their favourite kid-friendly libraries in Singapore? 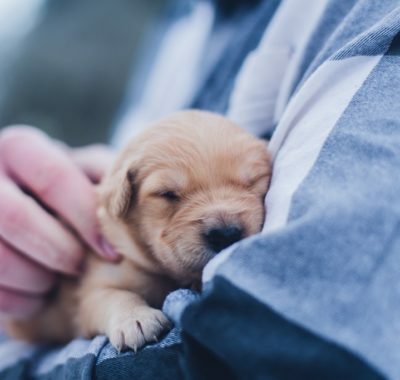 Do share more about those in the comments below! * Note that Public Libraries close at 5pm on eves of Christmas, New Year and Chinese New Year, and do not operate on Public Holidays. All the library programmes mentioned above are free for Singaporeans. Membership fees apply for non-Singaporeans. Visit the GoLibrary website for updated schedules and registration details. :: Giveaway :: Best Places for a Family Photoshoot in Singapore + 60mins Outdoor Family Photoshoot Giveaway!